The movies really get it wrong. Of course, I love a romantic story as much as the next girl, but it’s dangerous to believe that — in real life — relationships are lifelong, endless romance. We are setting ourselves up for big time failure if that is what we have come to expect. Our toddler was sick Monday and Tuesday, and our infant got sick on Thursday. By Thursday afternoon, I was getting sick from taking care of them. Thank goodness for my husband. He drove home an hour and a half from work, picked up our 7 year-old, and then drove another 2 and half hour round trip to transport him to snowboard team practice in Wisconsin. He knows how distraught I become when I can’t get the kids to their things. My husband arrived home around 10:30pm. I was already in bed — with our infant sleeping next to me — feeling half dead. Then our toddler woke up screaming. She was sick again. My husband didn’t even ask me to take care of her. He cleaned her up, threw her sheets in the wash, put new ones on her bed, and got her back to sleep. Then he lay down next to me and rubbed the back of my head for a few minutes before he fell asleep (he knew I had a migraine headache on top of being sick). He woke up at 6am to drive an hour and a half to work on Friday. This is love. This is the kind of love that should be in the movies. 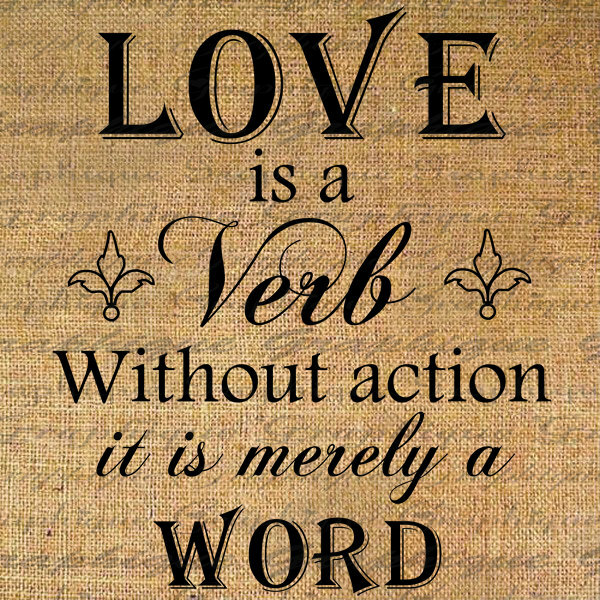 Love is an action word. We grow up believing love is a feeling — an adjective to describe this floaty, dreamy ideal. It isn’t. Love is — by virtue of what love means — a verb. Love is sacrifice and service — often for nothing in return, but to know that the people you are loving’s needs are met. Love as an action is TRUE LOVE. Where true love exists, true romance abounds. Any woman will admit to falling in love with her husband more intensely (and all over again) as she watches his selfless love for their children and for her. But I have never felt more loved.